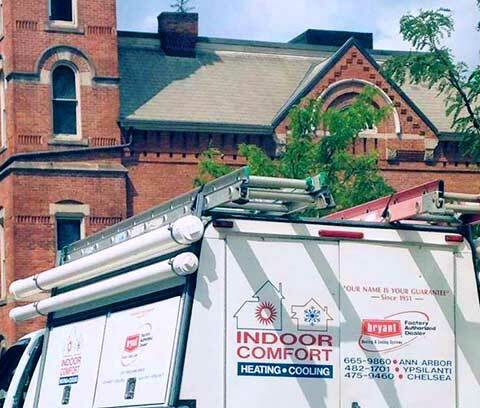 You can dramatically improve the convenience, comfort and health that your heating and cooling system delivers by replacing your old equipment with the latest technology. Indoor Comfort welcomes any questions you may have about add-ons and replacements and we’ll be happy to give you a free quote. Indoor Comfort carries a wide selection of the leading brands in the market to replace your aging equipment or upgrade your system with a new component. We have a variety of options that will keep you comfortable and work with almost every budget. Call us now at 734-665-9860 or fill out this contact form, and we will give you a free quote for the purchase and installation of new equipment that will bring a higher level of comfort and enjoyment in your home!